TS Turbo has been dedicated to manufacturing performance parts for enthusiasts by enthusiasts since its inception. 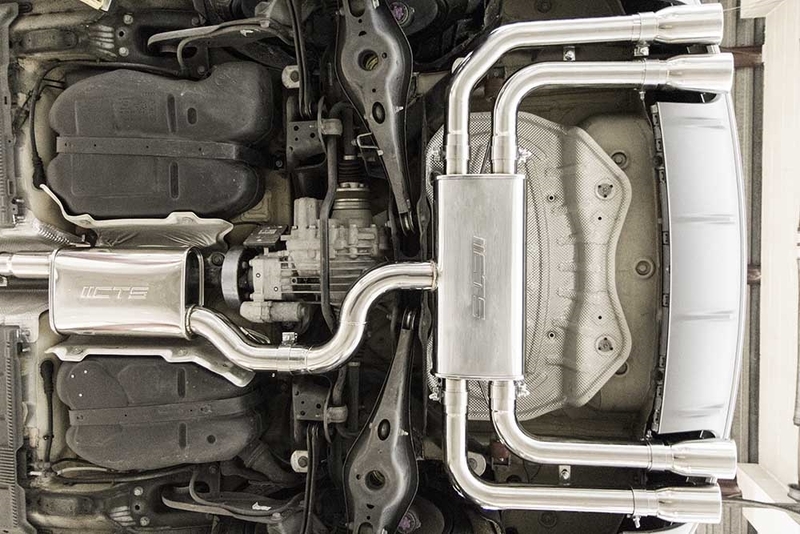 Our continued development of the 8V S3 platform is not limited to FMIC kits or Turbo kits, our all new 3" cat-back exhaust system is evidence of that. The CTS Turbo 8V S3 3" cat-back exhaust system is hand tig welded using the finest T304 stainless steel. Our exhaust system was designed for both street use and big turbo abuse. Other 8V S3 exhausts that are currently available can choke peak power and limit the breathing due to their 2.5" construction. The 3" design of the CTS Turbo 8V S3 cat-back is ideal those of us chasing serious horsepower.